Established in 1999, Navigators Software (Navsoft) is the software arm of the diversified Rungta Group; having interests in Engineering, Finance, Steel, Man-Made Fibres, etc. It has also been recently awarded the TOP 50 Emerging Company 2013 award by Nasscom. Navsoft is one of the leading web and mobile application companies which specializes in outsourcing. Having a large experienced team of over 350 professionals it has provided solutions to over 800 clients in 33 countries and across diverse verticals and industries. It’s clients range from small and medium businesses to Fortune 500 clients like Daimler Chrysler, Citibank, Standard Chartered Bank, Ametek and many more. Besides the above services, it has also recently launched a number of products which include the award winning turnkey ecommerce product – BoostMySale which not only builds your comprehensive and user friendly online web store in a jiffy but also integrates, manages and seamlessly pushes your products on all the leading marketplaces & social channels. With expertise of over 15 years combined with the experience of having worked for a huge number of industries has helped Navsoft to not only understand the customers’ business requirements and goals very quickly and efficiently but also suggest improvements to it. We consult, innovate and deliver your project from start to finish so that you can get what matters most - Results. We specialize in diversified, cross-platform projects with attractive designs, complex technical requirements and grand business goals through our 360 degree approach. 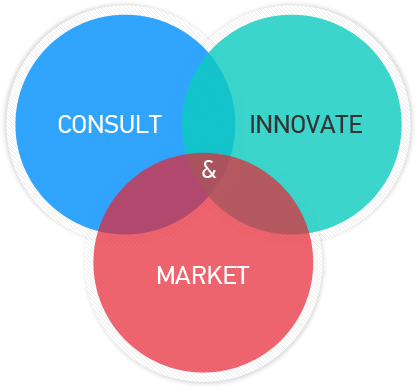 So you have a great idea and need some advice and consultancy? We are experts on the web and thus know exactly how to leverage it. We create your strategy, plans and deliver your project from start to finish so that you can get what matters most - Results. We keep challenging ourselves to meet our clients’ high expectations and demands.Our highly experienced team is constantly innovating new solutions to solve the most unusual and complex requirements that others have failed to address. We take your products and services from your virtual space and sell it to real people. Our internet marketing experts target global and local search engines and the most popular social media channels to make your brand known. Not only do we build your site, we also promote and market it to where it matters.